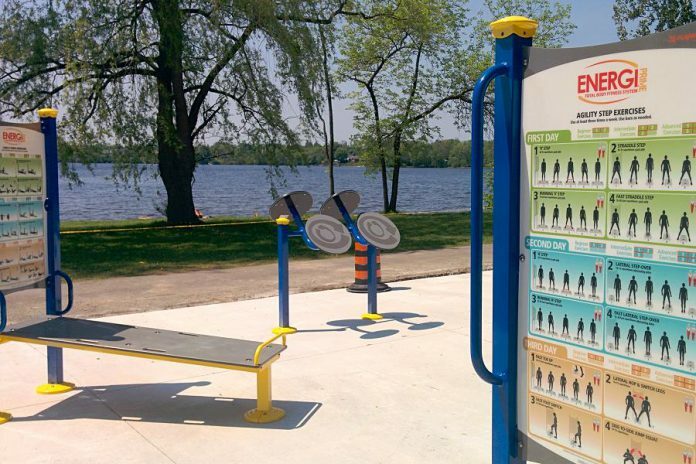 Just in time for summer, construction of Peterborough’s first adult outdoor gym at Beavermead Park is now complete — although finishing touches still need to be added. 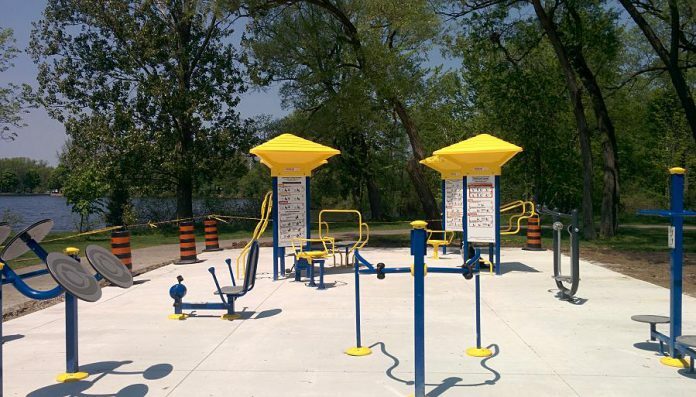 The gym is located in the northwest corner of the park, adjacent to the beach and near the volleyball courts and the children’s playground. 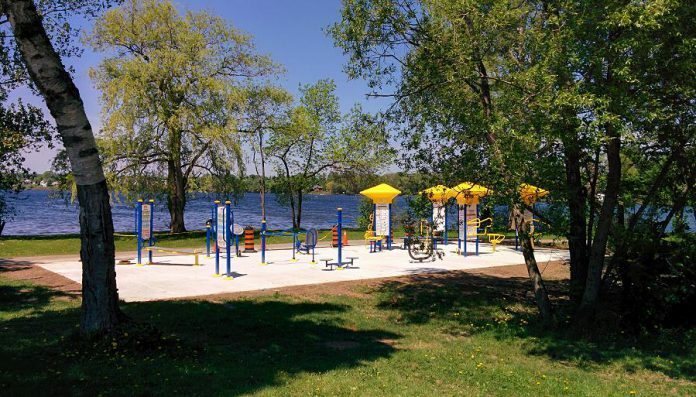 The placement of the gym right next to Little Lake should offer a nice breeze for those working out, and then access to the water for a cool-off swim. 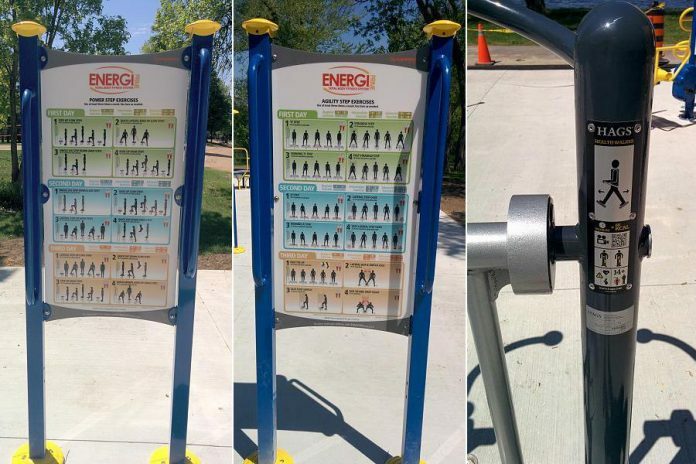 The gym’s equipment was installed by Brantford-based company New World Park Solutions Inc., the Canadian supplier of the American outdoor fitness equipment company Playworld. 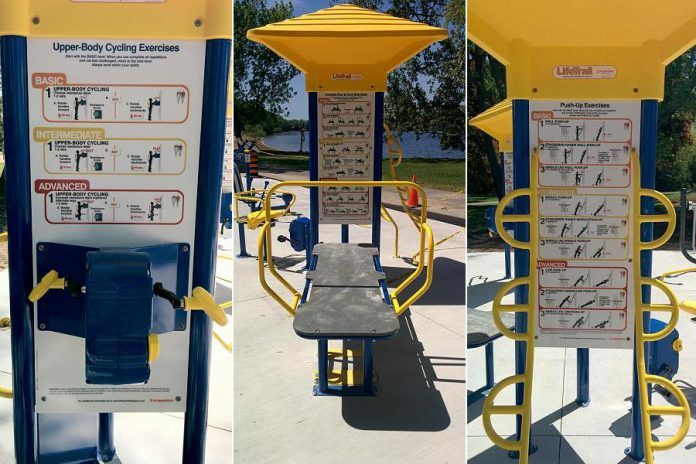 The gym includes several products from Playworld different product lines, including the LifeTrail Advanced Wellness System, Energi, and Stretch & Go. 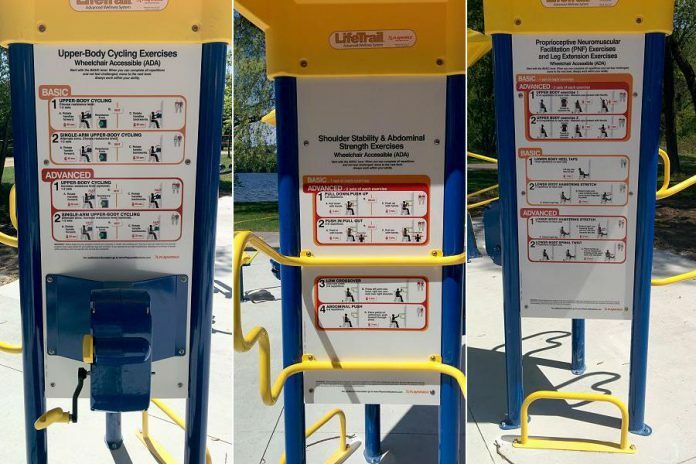 While the gym is intended for use by all adults, the LifeTrail equipment was specifically designed for adults 50 and over, and is focused upon functional fitness, helping you to maintain or improve your ability to perform everyday activities. 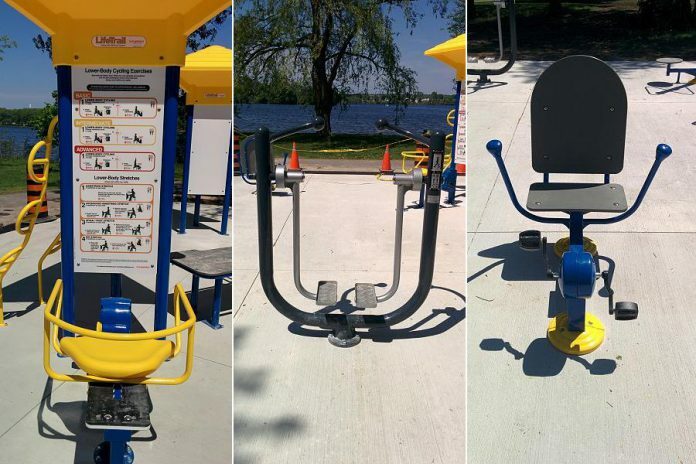 There are different fitness stations with several types of exercises, as well as standalone equipment such as a recumbent bike. 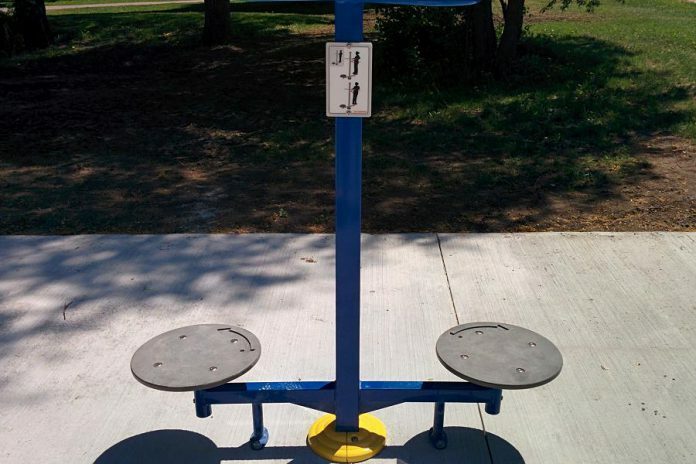 The gym includes a fitness station that can accommodate wheelchairs, making it fully accessible for persons with disabilities. Work on the project began in May. 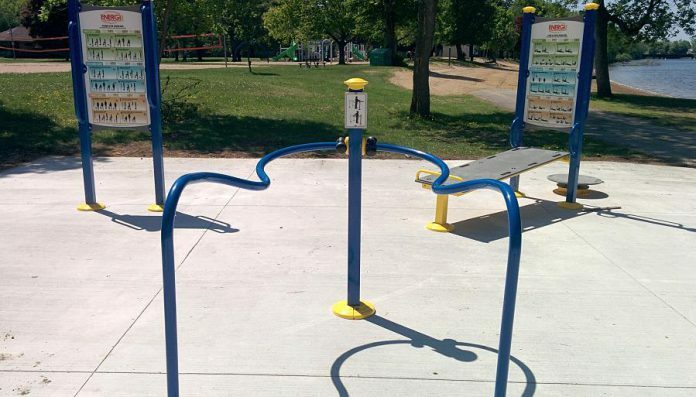 People are already testing out the equipment, even though some finishing touches such as an accessibility ramp and landscaping need to be completed. 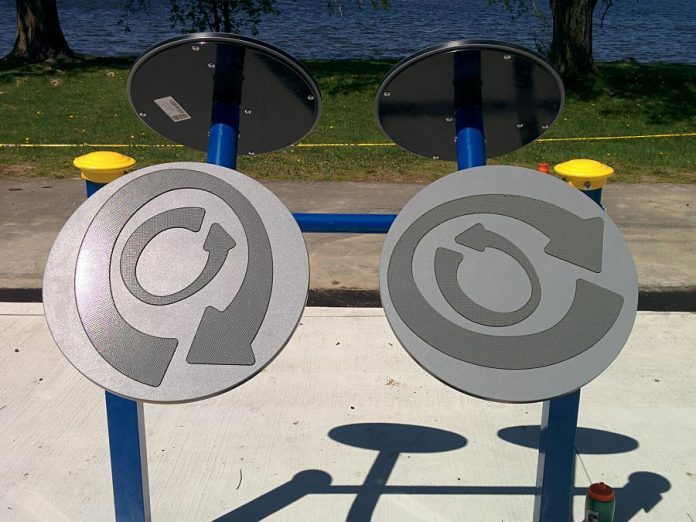 Once that work is complete, there will be an official ribbon-cutting ceremony. 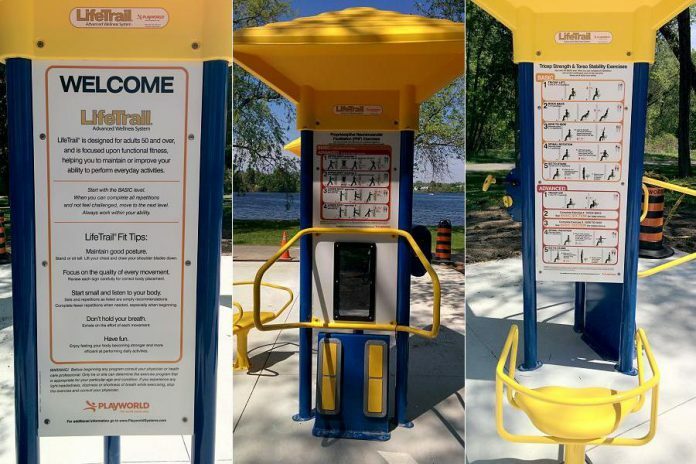 First announced in June 2017, the project has been funded with contributions of $25,000 from each of the Rotary Club of Peterborough-Kawartha and the Rotary Club of Peterborough and $40,000 from the City of Peterborough.